In case you haven't heard about the Walk of Hope yet, it is Sunday, September 9, 2018. There are 37 locations this year across Canada - hopefully there is one near you! Have you registered yet? If you register by Friday, August 10, you will receive a special survivor package in the mail including a t-shirt just for you! Here are the links. We would love to hear your plans for this year, the name of your team (if you have one), photos of you in your t-shirt and where you will be walking! 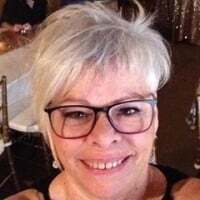 Hi @Marilyn I have registered for the walk this year in Ottawa. I will be walking with my sister, but would be honored to walk alongside anyone willing to join. I'll provide photos. 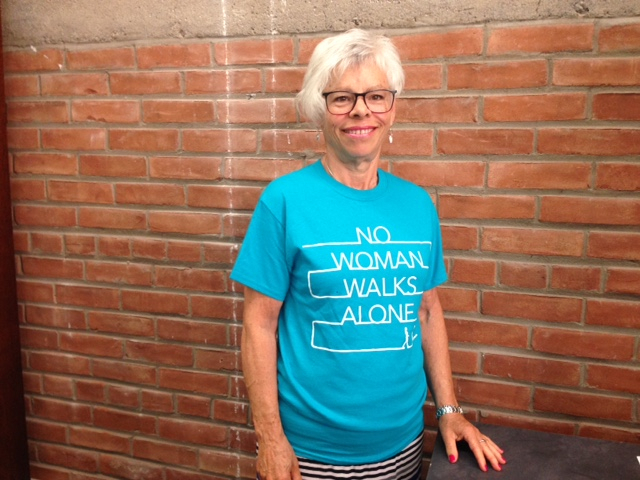 Love the shirt design this year - No woman walks alone! For those still considering going - not to worry if you do not have a team or you are not able to actually do the walk - great support will be found there - I've found it to be a positive supportive atmosphere! 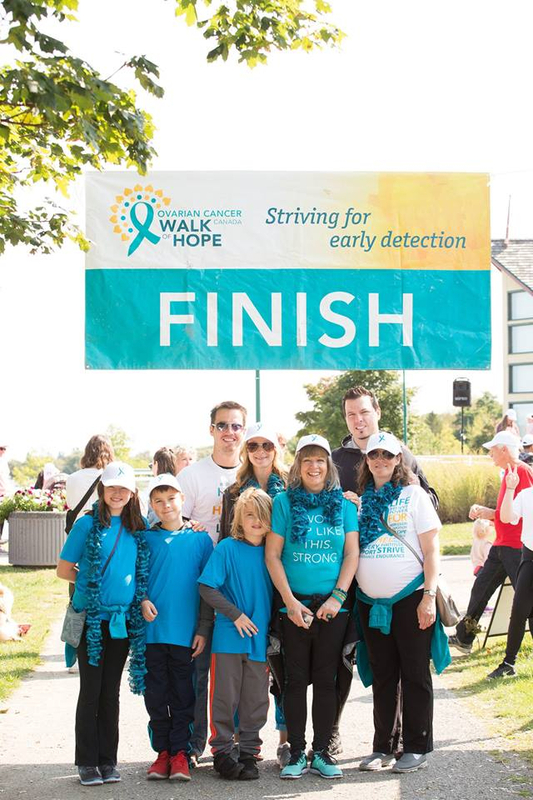 You will most likely meet survivors at your walk location - just look for those teal shirts and high five / hug them all! And same goes for those volunteers (usually in yellow). Cheers and thanks to them all! Je suis inscrit aussii. C'est ma deuxième année et je marche pour moi même ainsi que pour toutes les femmes atteintes du cancer de l'ovaire. 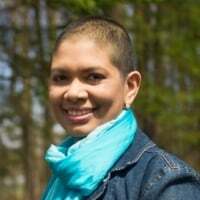 I'm sure you will enjoy the Walk in Ottawa and meet lots of other women with the disease. It is a fun day and people often bring their kids, strollers and dogs ! 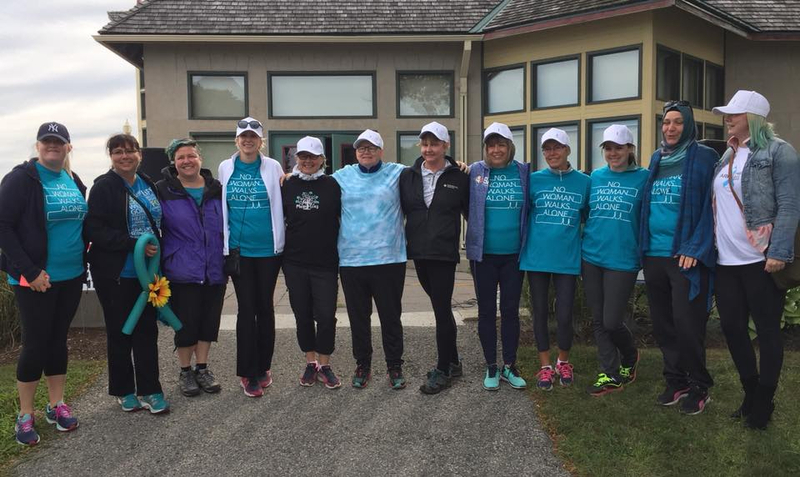 Its always good to feel the support and encouragement of the ovarian cancer community in your area! 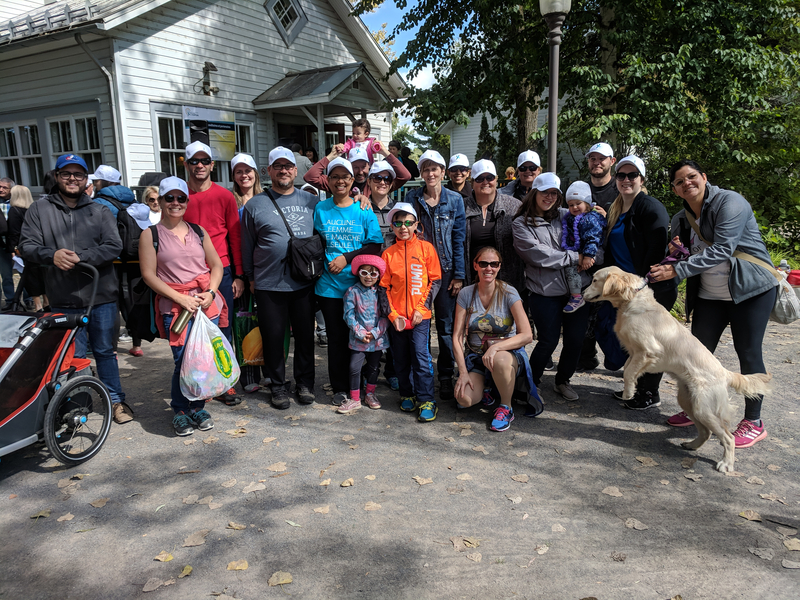 I am walking in Kingston with several of my family members. Our team is Karen's Joy Walkers. Love the shirt but don't have a picture of me wearing it yet. Hi everyone I am walking in Peterborough this year for the first time I even have a small team!!! looking forward to Sunday! Sending you a hug and best wishes for the walk @nell1261! Hi Marilyn Just wondered if all survivors are getting their shirts in the mail.. I registered back in Mar or Apr. I do the Barrie walk.. This will be my 6th walk as a survivor.. Had recurrence last year but after surgery again I am back in remission.. I love this walk.. As Flowergirl said it is a very Positive, Supportive Atmosphere . Have fun ladies who are walking this weekend! I am unable to attend (too far away) but I’ll be there in spirit! 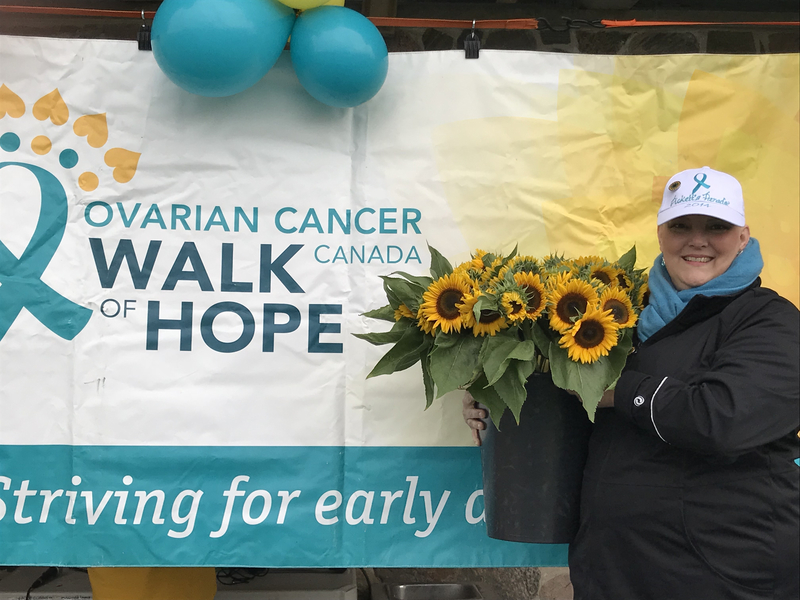 Thank you @Tara ; .. You were there in spirit.. Was a good walk emotional as always especially when they had all us survivors get together and they applauded us.. Sister Survivors !!!! 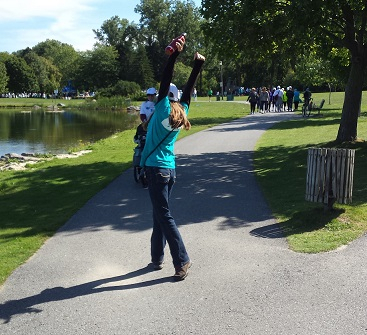 Hello I had such a wonderful and uplifting experience yesterday at the walk in Ottawa. The venue was absolutely beautiful and the volunteers did a wonderful job of supporting the event. 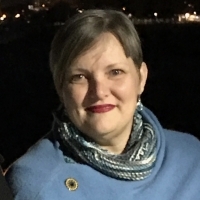 I was lucky enough to have met up with some very special woman. I am so thankful to have such a great support system. 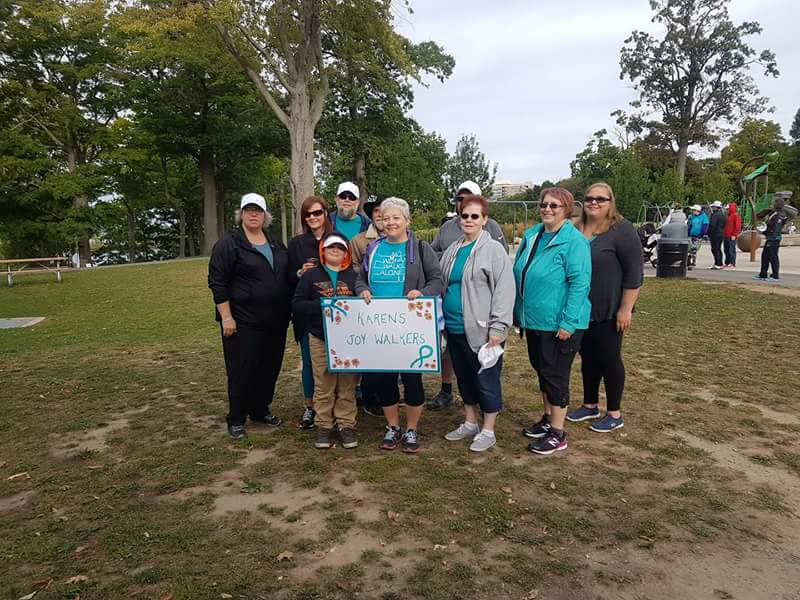 I was the staff representative at the Walk in Niagara Falls! Had a great day! Although it was very cold, we were warm in spirit and it was lovely to meet @UnPickNot! 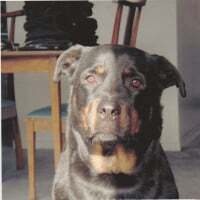 Here is a picture of her - beautiful! Love the photos @irishsurvivor ; and @Ingrid_Canon! 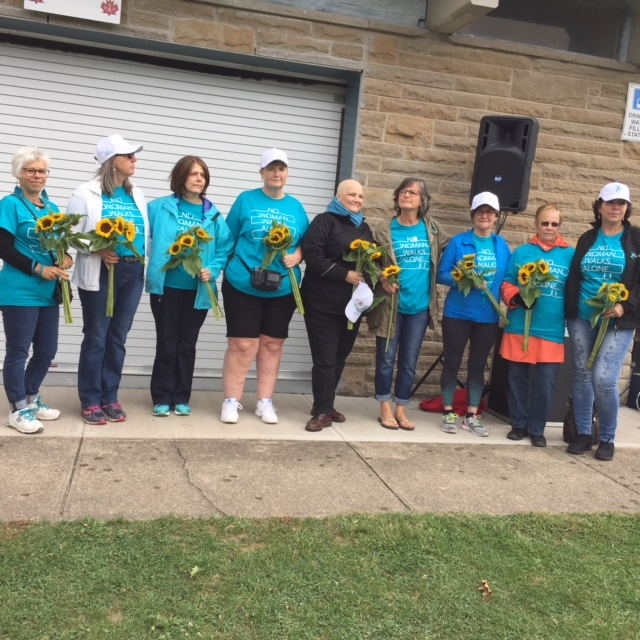 Here is a picture of all the women at the Niagara Walk. 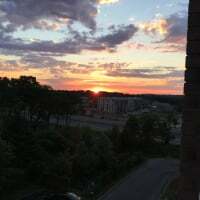 Good to hear from you @terrylee @Flowergirl ; @KarenMari53 ; @nell1261 @Tara ! Marilyn - it was great to see you yesterday and looking so well - and brave without a coat. I never unzipped mine! Thanks to Bert and Marjan at Peninsula Flowers for the truly lovely bucket of sunflower bouquets! Those are all fantastic photos...thank you everyone for sharing! Voici ma photo de la randonnée avec mon équipe.